In the fall of 2015, I took Yale’s MENG 400 Computer-Aided Engineering class. This course covers a variety of topics pertaining to CAD modeling and finite-element analysis, and I gained a great deal of practical experience with Solidworks’ various simulation packages. For the final project at the end of the semester, each student used the tools from the class to design something of their choosing. Outside of engineering, I shoot recurve archery and am on the Yale Club Archery Team. 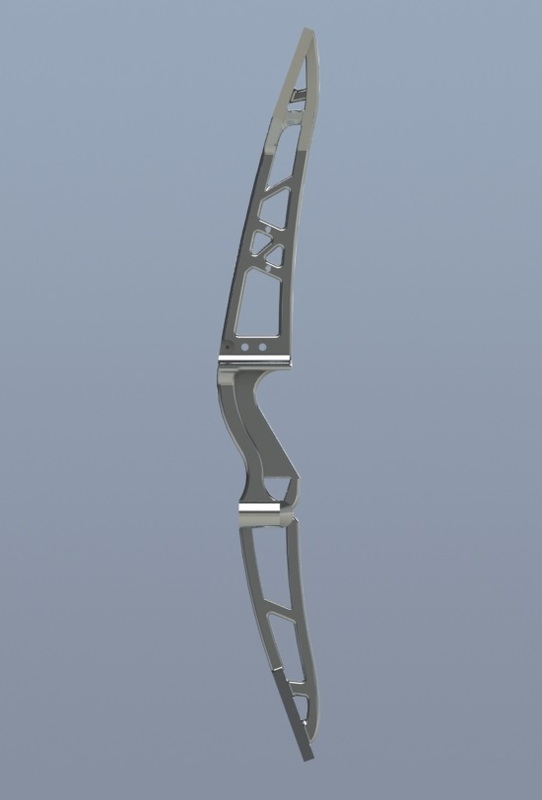 Thus, I figured that designing a recurve bow would be an interesting FEA challenge. I decided to focus on the riser of the bow (i.e. the middle structural element that the archer holds on to), as it is the most critical and complex. After working out the loading scheme on the bow, I used a topology optimization program (solidThinking Inspire) to get a preliminary sense for the shape, and then refined the design later in Solidworks to improve its strength under dynamic loads and to ensure machinability. I considered using one of Yale’s CNC mills to fabricate the bow, however, I am yet to do this, as I have recently purchased a new Hoyt HPX riser, which is what my current bow is built around. In the future, however, I would enjoy actually constructing and shooting the bow I designed.